HMD Global has to this date updated up to seven of its devices to Android 9 Pie and is expected to release the update to a few more this Q1 2019. Towards the end of last year, we spotted the Nokia 3.1 on Geekbench running Android Pie and last week, we came across the Nokia 6 on the same platform running Pie, too. Today, we have the Nokia 3.1 Plus and once again, the device has Pie on board. What does this mean? If anything, it means HMD is testing Pie on the three devices ahead of the official rollout, probably this Q1 or in early Q2 2019. 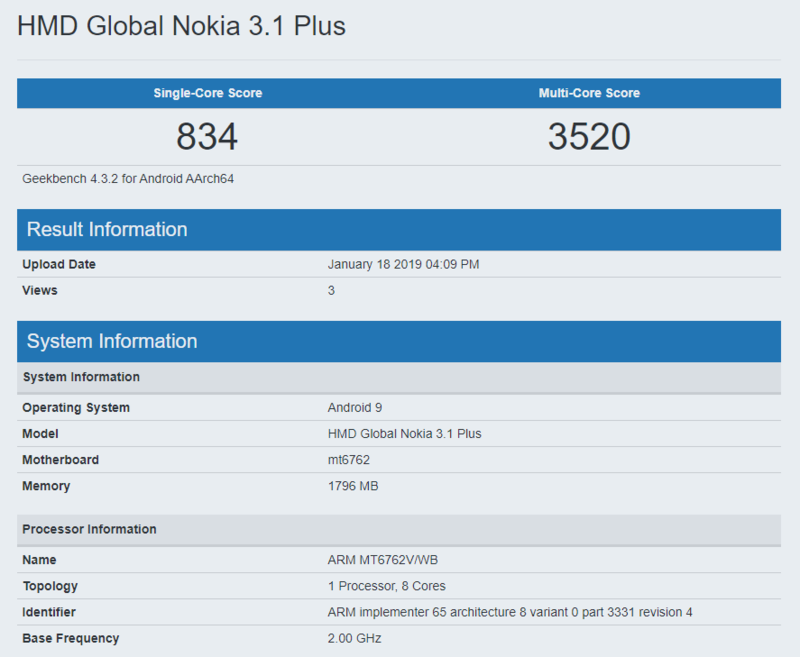 As a reminder, the listing on Geekbench doesn’t mean Pie is ready for the Nokia 3.1 Plus, but it does tell us the wait is nearing the end. It may take anything between several weeks and months before the official rollout begins. The Nokia 3.1 Plus comes preinstalled with Android 8.1 Oreo and thus supports Google Project Treble out of the box. This should help speed up the software development process and further cut down on the wait time.